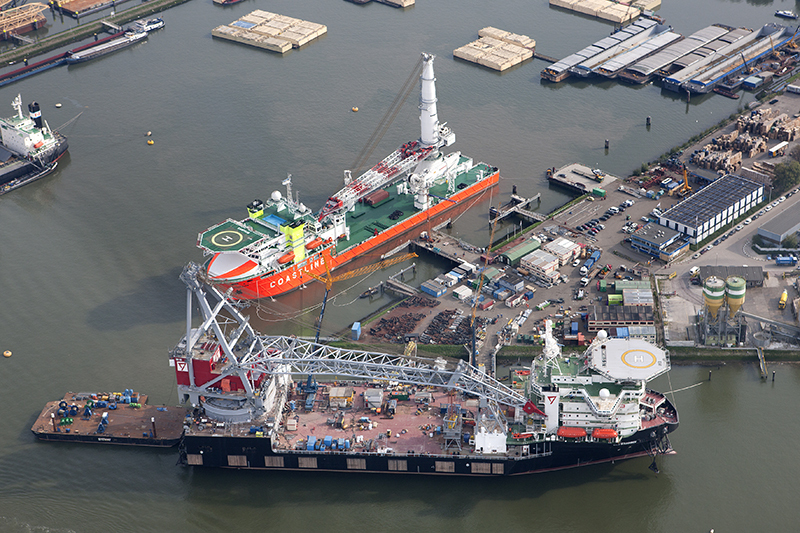 Serdijn Ship Repair (SSR) and Zwagerman Offshore Services join forces into a new company under the name Rotterdam Offshore Group BV (ROG). Both companies have a strong reputation for finding innovative solutions for complex jobs. Their ideas and activities are complementary, so a complete portfolio can be offered to clients. Alongside the jetties there are lay-by facilities for vessels up to 190 mtr and 9,5 mtr of depth, with sufficient crane capacity. A large yard area of more than 14,000 sqm with a fully equipped workshop. Existing markets and new market segments will be addressed in several business modules. De- and mobilization, maintenance: For offshore vessels such as PSV,OSV, Seismic-, Dredging-, Jack-Up Wind Turbine Installation Vessels, (crane) barges and platforms. Conversions and yard repairs: For merchant and offshore vessels at our jetties with support of our workshop. Port and voyage repairs or maintenance: With trucks, floating and mobile equipment, all kind of projects can be executed in the Rotterdam- and adjacent Ports or during the voyage. Heavy-lift and floating cranes: Max 1400T. Supplier, sales/rental, and storage of equipment: Used in offshore exploration such as cranes, winches. Construction work: For any kind of vessel, barge, platform in the offshore and marine industry. High end On Site Mechanical Services: Alignments, vibration and 3D measurements, 3D scanning and on site machining.